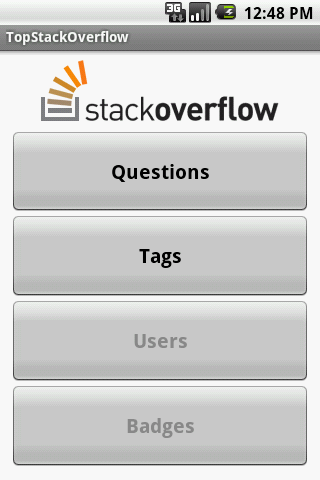 Android client for Stack Overflow and then all Stack Exchange sites in the future. Freeware. Will probably change to ad-supported or maybe open-source (depends on your requests). Leave comments for the app in Android Market, contact me through the market or leave comments here. The app is currently closed-source. Browse other questions tagged app java android .